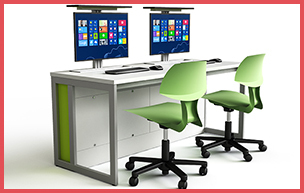 DDA and height adjustable desk requirements in learning spaces and office areas. 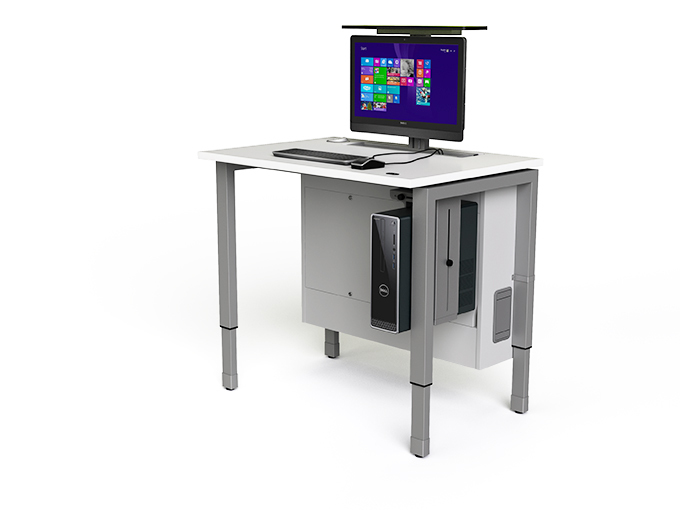 Simply push down and the computer screen, keyboard and mouse gracefully rise up vertically, instantly converting a height adjustable desk into a computer workstation. 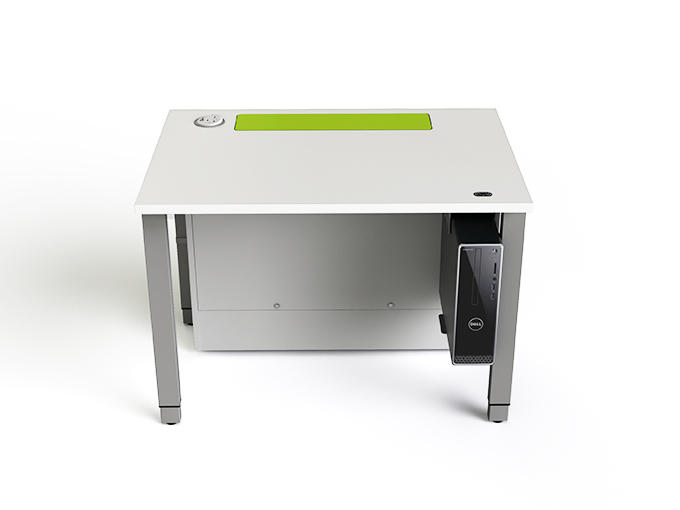 The zioxi M1 pop up computer desks are available in 7 different colours & finishes with the work surface height adjustable at the push of a button. 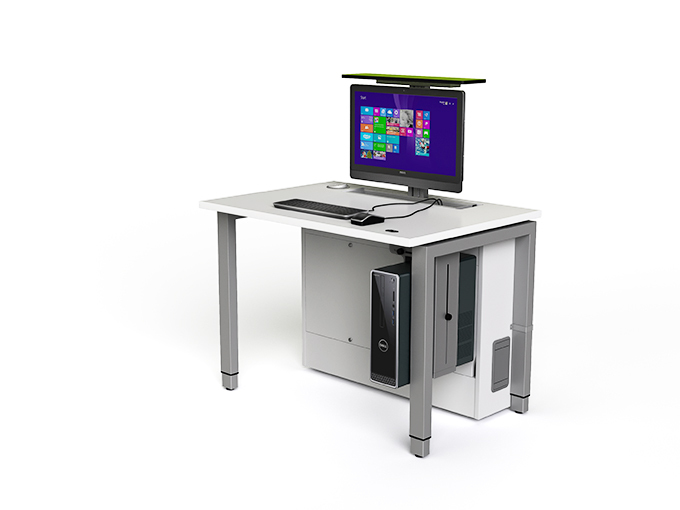 Designed to complement the zioxi M1 fixed height ICT desking.